Let the budding coder inside you be trained by the experts in the domain at ALSOFT, where passion becomes interest & you get a fairly good chance to chase your dreams. ALSOFT- a place where your coding skills are enhanced in web development and you work under the best industry experts to learn more. Learn basics of website development & coding and become an expert by training with ALSOFT. For an exciting career in making websites and web applications, get real-time industrial experience on live projects with expert web developers from ALSOFT. Take the ALSOFT Advantage- learn website development from scratch and work on live projects for an enhanced learning experience. The field of website design and development is the most dynamic & popular one these days. With more and more companies making an effort to have a strong presence in the virtual world nowadays, there are a myriad of options available for a proficient, adept & adroit web developers. What is a web developer? If defined in technical terms, web developers are programmers who are engaged in the process of World Wide Web application development or development of distributed network applications that function over HTTP. 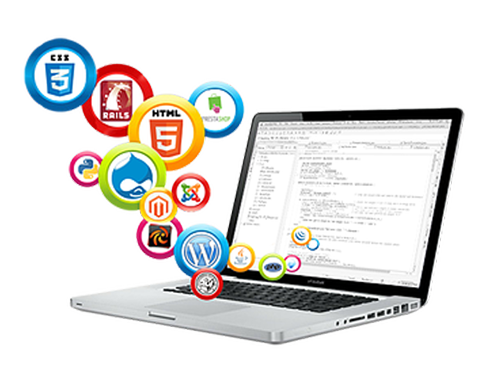 Due to the upsurge of technology, we have a huge demand for web developers nowadays. To apply for Web Developer Internship just send your updated resume at career@alsoft.org; mentioning ," WEB DEVELOPERINTERNSHIP in subject line." It's an undeniable fact that web developers are in huge demand & most of the companies now have a separate department that looks after website development, this clearly shows that web development is now emerging as a mainstream career opportunity. Irrespective of the size of the company or structure of the organization, web developers continue to be in great demand. They take care of both server-side and front-end logic. The back-end web developers look after the overall technical website construction. The front-end web developers are responsible for, the looks and features of the websites or it can be said that they take care of the website's appearance. Although there is a huge demand for web developers, the companies usually want well-trained and professional developers. A good & well-structured internship program hones the fresher in the field & prepares them to enter the professional world. The internship is not only a platform to sharpen the skills, but at the same time, it prepares the candidate to survive in the competitive world and manage critical situations. ALSOFT as a web development company has gained popularity amongst its client and employees owing to its use of state of the art technology and out of the box approach, ALSOFT has been able to carve a discernable niche for itself. We have also taken an initiative to kick-start the web developer internship program which will provide a platform to Freshers as well as working web developers to join the program and learn the latest development happening in the field of web development. Website development is a dynamic process and every day something new gets added to this field, under such circumstances, one needs to be abreast with the changes which ALSOFT can provide. We employ some of the best technologies & proficient talent. We believe in creativity and innovation and hence, we have always welcomed fresh talent for web developer internship Kolkata, who are brimming with new ideas and thoughts; our internship web developer program in an initiative to club together people who are willing to make a difference. Take the decision of your life by joining ALSOFT'S web development internship program now. Proficiency in work on MS office and social media platforms. Know-how of constant contact and mac platform. A good communicator both written and oral. Internship at ALSOFT is more than professional learning; it is upskilling of your academic knowledge and personality. The internship program at ALSOFT is not a traditional system of learning rather it is a self-exploring and self-learning program. In order to make your training program run seamlessly, we have a dedicated intern manager who will guide you throughout the internship period. Each intern will be mentored by a Web Developer. At the end of internship period the mentor reviews the intern and their performance to check if the candidate is appropriate for the organization and if you come out with flying colors, ALSOFT will offer you a position in the company as a regular employee. We are eagerly waiting to get you on board and if you want to learn the best then web developer internship Salt Lake, ALSOFT should be your first choice.